As a business owner, I will not pretend to be cool, I had no idea what ghosting was until a few months ago when my team lead sat me down to explain the concept. Ghosting is when a person stops responding to your emails, calls, text, and just disappears. Typically it happens in a relationship or friendship. However, the challenge that we are having is people are starting to ghost employers. I had never experience it until recently. Every year, we recruit 5-10 facilitators/interns to work on school based programs. We recruit Masters and Ph.D. candidates in the psychology field. It is an amazing opportunity for grad students to gain experience with group processing. The challenge we are having lately is we are getting ghosted by candidates. They show interest, conduct an interview, and then stop replying to emails or calls. This does a little more than cast them in a bad light. I really think that we need to sit down and have a real chat about how this is unprofessional and can damage a candidate’s reputation. For example, say a candidates is applying for a job at Bulldog Solution and attends the same University where I teach a few classes every semester. There is a high probability that I might have them through the course of their education. They don’t realize it, but they might be tarnishing their reputation before they even make a first impression. 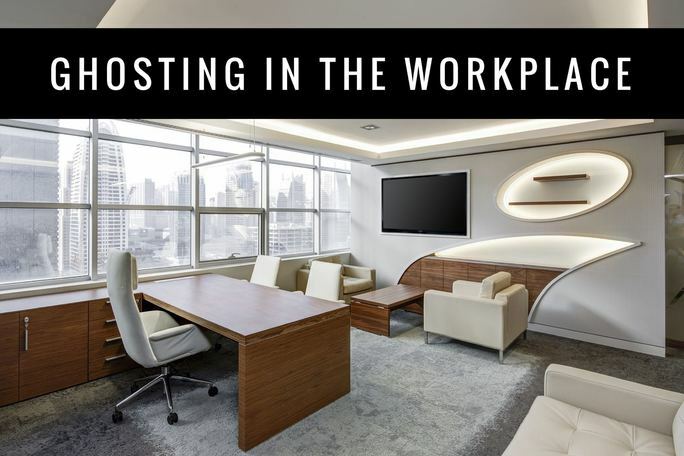 This holds even more weight when a former or prospective employer has a well-established network of professional connections, which may prove detrimental to the “ghoster’s” career by limiting their future opportunities and relationships. Respond to your email. Be honest, professional, and write: Thank you for your time and consideration. At this time, I can’t commit to this job or opportunity. You could also write: Thank you for your time, I have accepted another position. Plain and simple. Keep it clear, honest, and polite. Get clear expectations of your role, project, or work duties. By knowing what is expected of you, you can better prepare and know the best way to respond to a situation. The more you know about how to act and communicate the less overwhelming it is when you are in over your head. Ask for help. Reach out to a mentor, old professor, friend, or colleague and ask for help with the situation. I had an incident with a staff. They got overwhelmed by a group, and instead of sharing this with me, they ignored my emails and texts. I had to get them on the phone to talk it through. By ghosting me, it cost them money, and future opportunities. Be clear on your company’s communication policies. For Peagram Consulting and Bulldog Solution, we have strict policies for our response rate. If you get a text from a team lead or myself, you have 24 hours to respond. If you get an email you have 48 hours to respond. We use text for emergencies or last minute program stuff. So, we need staff to respond. Explain the importance of communication. We share that this might be a stepping stone to their careers, and they want to build bridges versus burning them. I explain that ghosting can have a negative impact of future positions, as they need to get references or letters of recommendations. Call out the behavior and find a solution to open the lines of communications. Find out the why and what is causing the behaviors. Work with your employee to establish expectations to respond. I had a client, their employee would not commit to the review meeting. They did not respond to texts, emails, or phone calls. Sadly, it cost them a promotion and it cost my client time and energy. Ghosting is unprofessional and we as business leaders need to put our foot down and address the behaviors. Often new hires might not fully comprehend the impact of their actions, so let’s teach them and establish ground rules to build our people.